Listed below are homes for sale in Dunn’s Marsh, a neighborhood located in South Madison, WI. Listings are updated multiple times a day from the SCWMLS. For more information about any of these Dunn’s Marsh homes for sale, just click the "Request More Information" button when viewing the details of a property. We can provide you with disclosures, past sales history, dates and prices of homes recently sold nearby in Madison, and more. And, for your convenience, register for a free account to automatically receive email alerts whenever new Dunn’s Marsh listings come on the market that match your search criteria. West Beltline Highway to the north; Seminole Highway to the east; public conservancy lands to the south; Allied Drive and Carling Drive to the west; and Verona Road to the northwest. 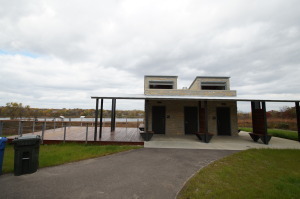 Dunn’s Marsh has a long history of environmental conservancy, and the modern complexion of the neighborhood reflects that. Neighbors here banded together in the 1970s to prevent development proposed for the shores of the wetlands that now make up the southern half of the community. 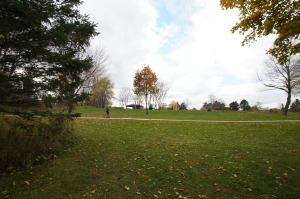 Today, neighbors enjoy walking and biking trails in a nature preserve. More opportunities to explore more than a thousand acres of oak savannahs, prairieland and marshland abound just north of the community in the University of Wisconsin Arboretum. 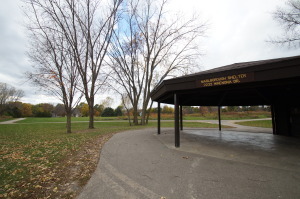 Marlborough Park, located at the heart of the neighborhood, covers 20 acres and offers athletic fields, basketball courts, open spaces and an area for dogs to play. The same community spirit that helped preserve Dunn’s Marsh back in the 1970s is well and alive today. An active neighborhood association works to improve the lives of neighbors who call Dunn Marsh home. Dunn’s Marsh straddles Madison’s southern border and Fitchburg’s northern border. Single-family homes in the neighborhood are mostly concentrated south of the West Beltline Highway. Mid-century development brought many of the homes here, and the architecture found throughout the neighborhood often reflects the period’s design. Homes in Dunn’s Marsh, however, can often be found listed well below that amount. Multi-family and rental units line Allied Drive along the neighborhood’s western border. A number of multi-family dwellings may also be found intermixed with a commercial corridor just south of the West Beltline Highway. 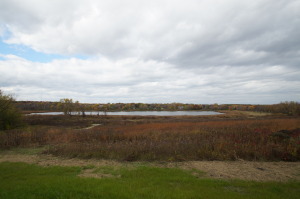 Dunn’s Marsh has thousands of acres of nearby natural areas for urban explorers to enjoy. The community’s central location on Madison’s south side also puts it well within range from schools, employers and commercial corridors in the area. Downtown Madison is about six miles north of the community, and its close proximity to the West Beltline Highway makes for easy travel in both directions. The area’s most popular commercial areas are also nearby. West Towne Mall is about four miles west of the neighborhood, and Hilldale Mall is about three miles north. Surrounding communities are also nearby. Verona is about five miles south, and the neighborhood’s southern boundaries straddle Fitchburg. For information about finding a home in the Dunn’s Marsh neighborhood or to sell your Dunn’s Marsh home, contact our team for a better real estate experience. Dunn’s Marsh neighborhood is located on the South Central Side of Madison in MLS area Madison – W10. Below are more homes for sale in that area.